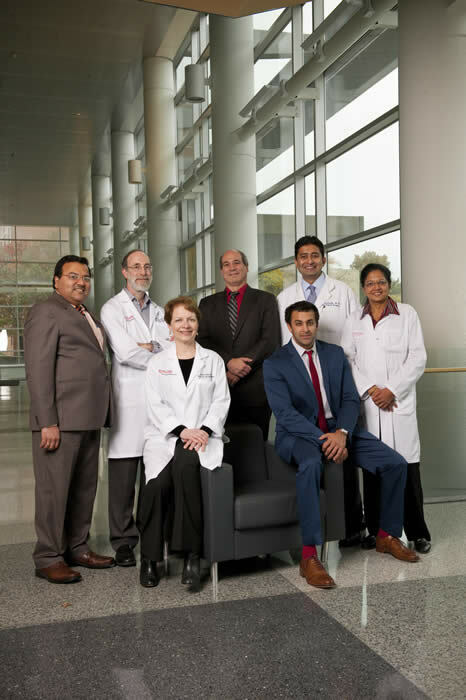 The New Jersey Comprehensive Stroke Center at University Hospital is one of New Jersey's leading academically based comprehensive stroke programs and was established to provide early diagnosis and managment of acute stroke and to reduce the disability and mortality from stroke. The Center is staffed and equipped to evaluate, treat and prevent all forms of stroke and vascular conditions leading to stroke. Treatment modalities include surgical and drug treatments, as well as innovative endovascular procedures including intra-arterial tPA, mechanical clot-busting, angioplasty with stenting, and embolic protection in the removal of blockages in the brain. The most appropriate level of care is offered to stroke patients in specialized intensive care and stroke units staffed by trained stroke specialists. Rapid diagnosis is aided by the latest imaging techniques, including CT-angiography and magnetic resonance angiography (MRA). To schedule an appointment with a stroke specialist please call (973) 972-2551.